"My dear old man used to say I couldn’t have it all my own way, but he probably wasn’t thinking of these marvellously well-rounded trousers. 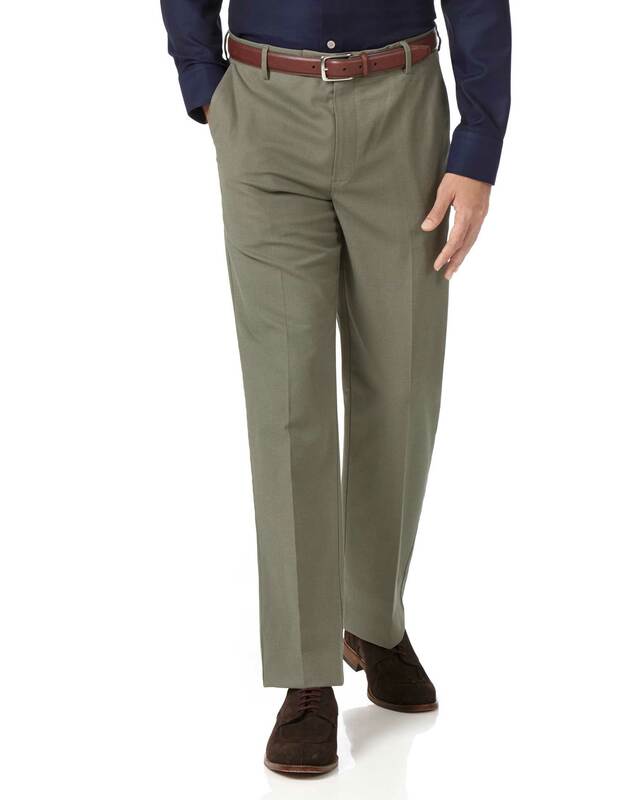 They’re made from breathable cotton yarns with a touch of stretch for top-tier comfort; they never need to be ironed thanks to their clever little finish; and they come in a sleek, refined fit that’s smart enough to wear with a blazer. Everything a man could want, in one two-legged package." "Non-iron, breathable and smart with a smidgen of comfy stretch: these trousers tick all the boxes." A decent pair of trousers; however, unless they are allowed to drip dry, I cannot for the life of me work out how they are non-iron. Just a ploy to add a few more pence to the price maybe? Nice trousers. I like the idea of them being stretch, although only time will tell if this makes any real difference in the long run. Tight button holes & side pockets are too shallow. Money (coins) and mobile can easily fall out (e.g. when driving the car). As a regular customer hence why I buy, the usual good quality feel to the trousers I would expect, and certainly value for money.